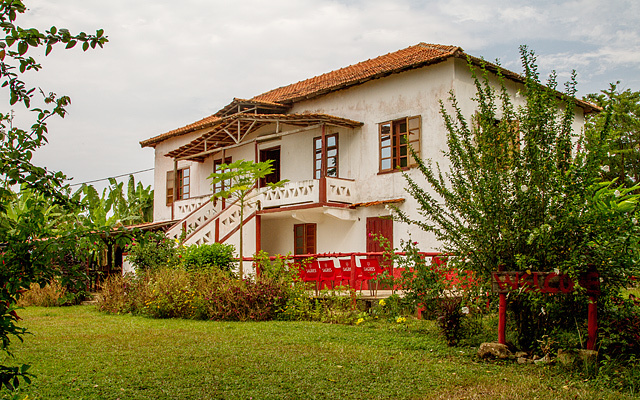 Welcome to Hotel Rural Abade! 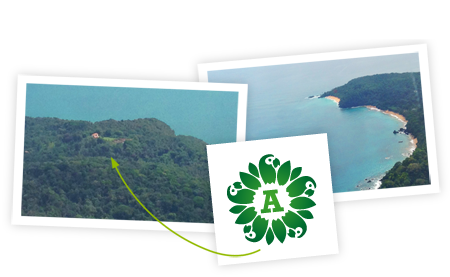 In an ancient Portuguese manour on top of a small hill, overlooking the tropical rainforests of Príncipe Island and above the Atlantic Ocean, Hotel Rural Abade awaits you. 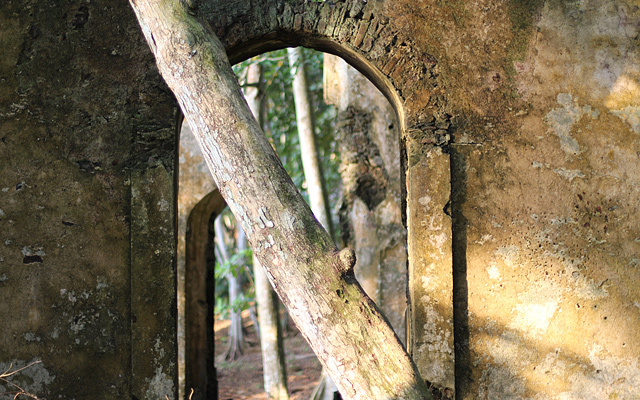 With only very few rooms, it is the place for nature lovers, hikers, bird-watchers and independent travellers. We offer concious and community supporting travel, some kilometers away from the peacefull village of Abade. 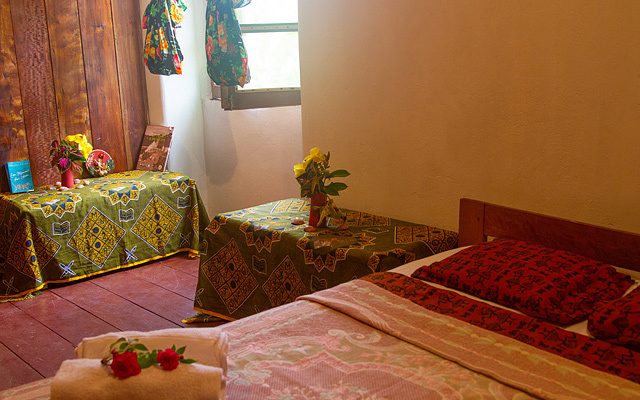 Hotel Rural Abade offers 6 simple rooms, most of them with private bathroom. 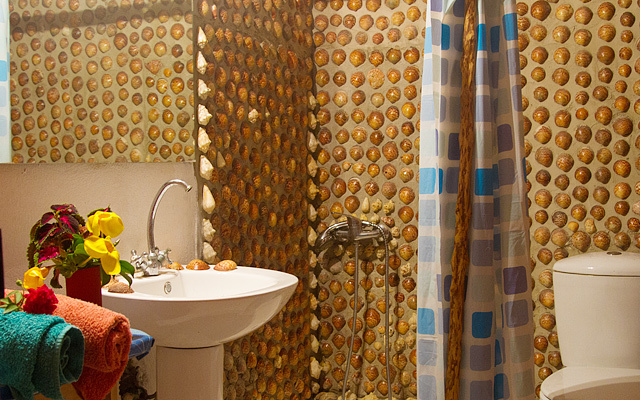 All rooms are made from local construction materials like wood, shells and leafs. We are not a luxury lodge, but care for eco-tourism and involving the local community. 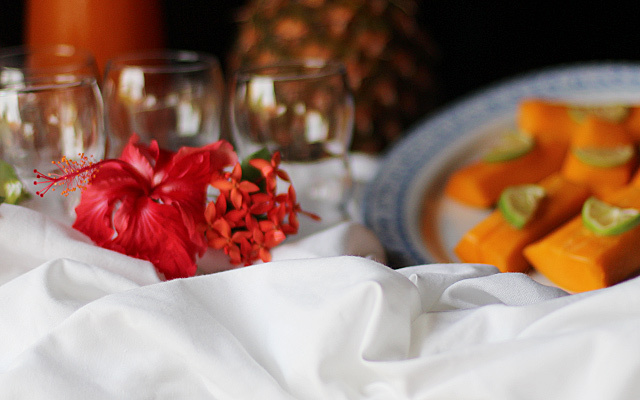 We serve breakfast, lunch and dinner on our terrace overlooking the Ocean. The next village is a relaxed 10 minutes walk away: the peaceful and tiny Praia Abade, home to fishermen and their families. We organize all kind of excursions and have cars at your disposal. 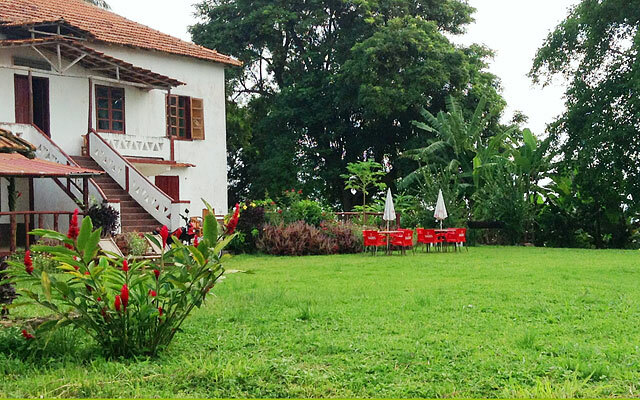 Stay with us and you will experience true Príncipe, rural life, peace and nature. 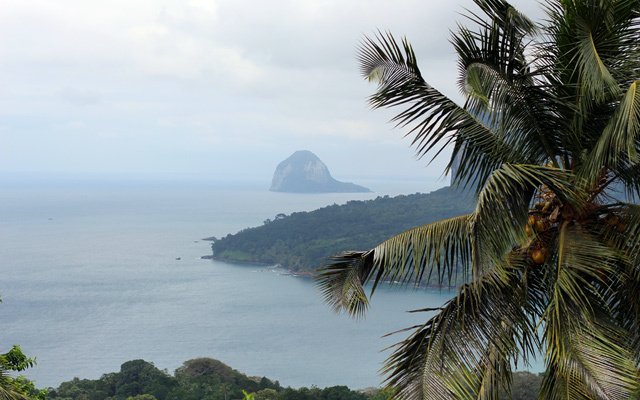 You will stay in Príncipe Biosphere, see the Parrots fly by, walk through coffee plantations and stay at untouched beaches. Hotel Rural Abade is located on Roça Abade, Praia Abade, Ilha do Príncipe, with these GPS coordenates: 1°37’40.6″N, 7°27’35.7″E. Click for Googlemaps here. 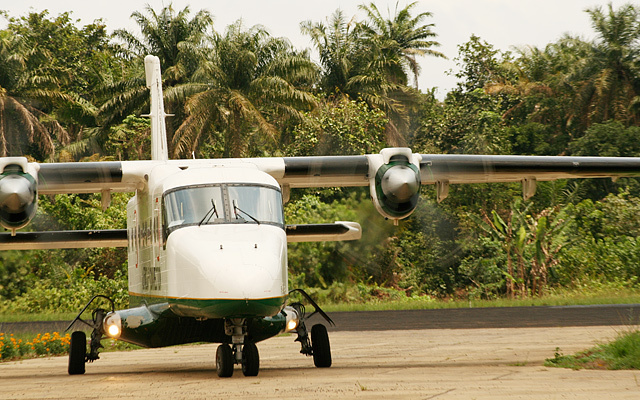 Arrival to Príncipe Aiport (PCP): from there we will offer transfer. From Santo Antonio seaport or any other place on the island: we will transfer you too.